High protection anti-pigment face cream. Photo Reverse is a suncare product that diminishes the appearance of brown spots, offers high protection, brightens, prevents and corrects hyperpigmentation. 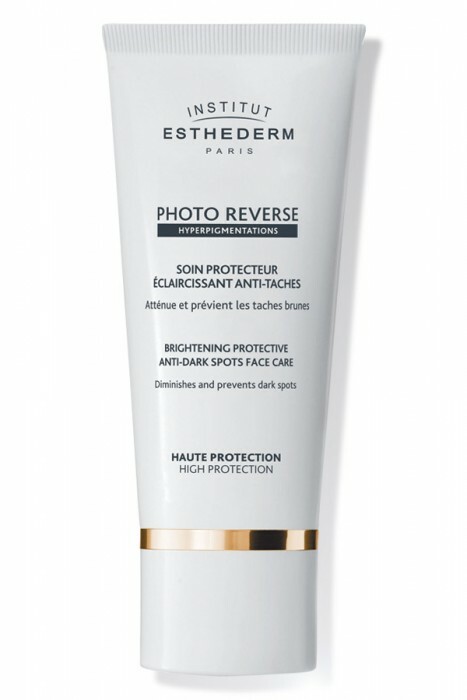 Protects against UVB and UVA rays, inhibits the pigmentation process and makes the skin progressively brighter. Asian, mixed and hyperpigmented skin. Treatments that make your skin more sensitive to light (the pill, antibiotics, etc.). Intensely protects hyperpigmented areas, evens out and brightens the complexion. Gives the skin ideal protection against photo-ageing and brown spots.